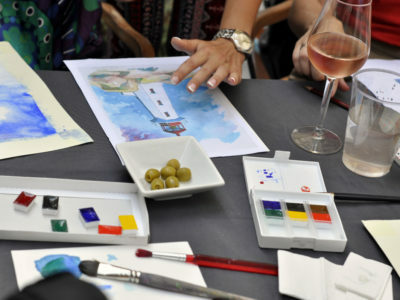 We invite you to a unique master class, which is held in one of the restaurants of Barcelona in the format of a Barcelona Art Party. 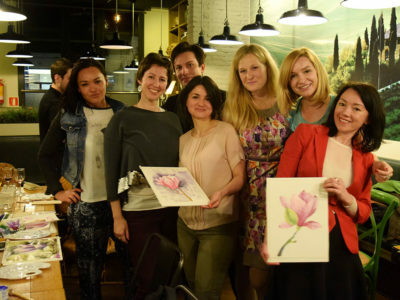 Under the guidance of an experienced artist-teacher, accompanied by pleasant music, sipping a fragrant Spanish wine, you will unleash your artistic talent and paint your first picture. It’s hard to imagine how easy it is to create without even mastering the basic drawing skills. After all, all activities are led by an experienced professional master. Everything necessary for fruitful creativity – canvases, professional paints and brushes – will be at your disposal. Leave the contacts. We will call you back and discuss the details of the art-party. 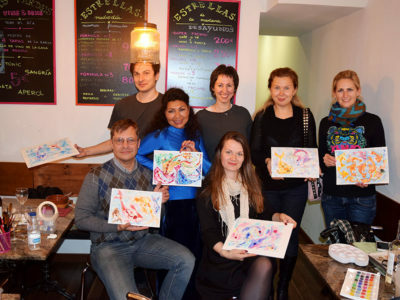 And it’s even easier to engage in creativity in a fun company, in a relaxed atmosphere. 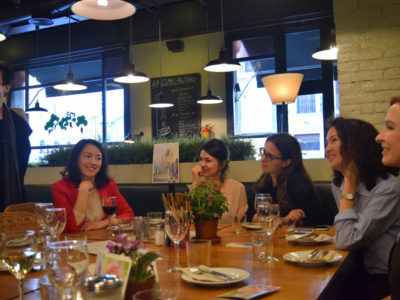 Tasting of famous Spanish wines or cheeses. Treats of local gourmet products. 2 hours of drawing master class. 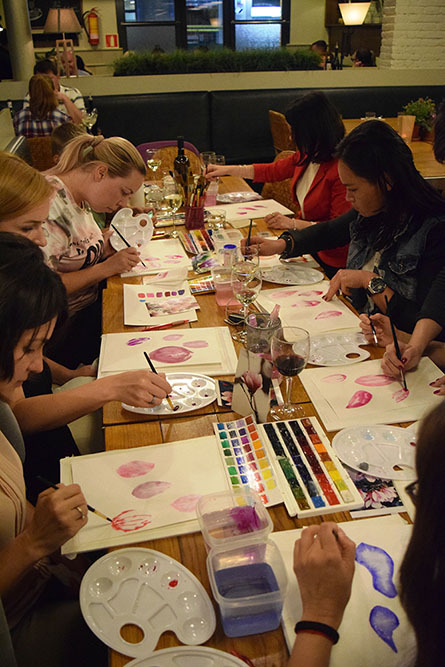 Classes are held in groups of 2 to 10 people. 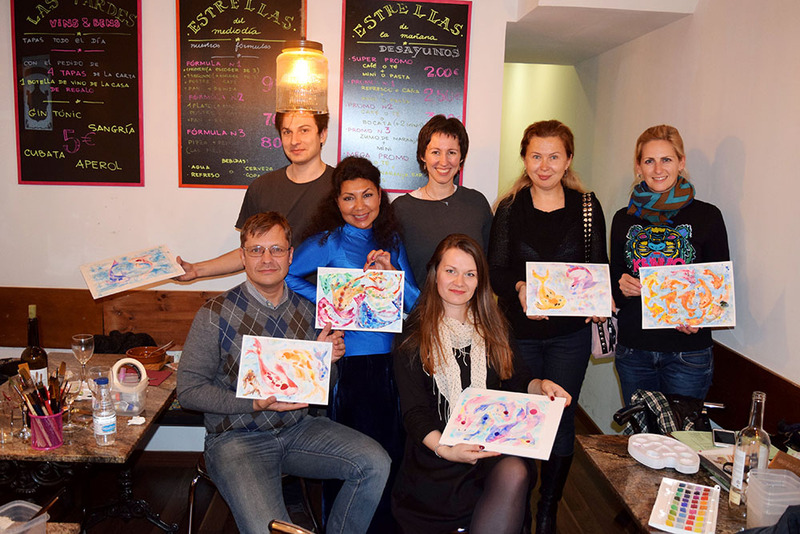 For details on the organization of an art-party, please contact the manager by phone. 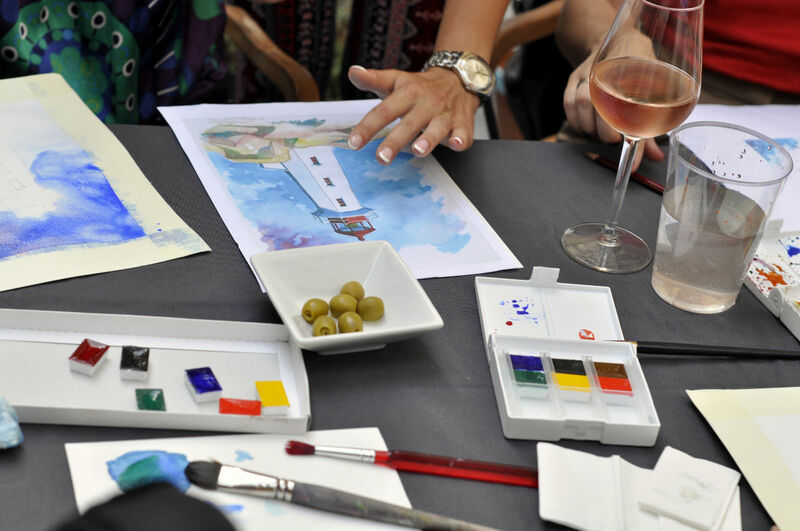 Release your inner Picasso or Dali. Give vent to creativity and imagination. Take the paint. Fill the glass. 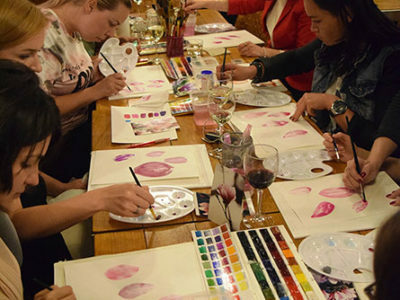 Create and have fun! What, you don’t believe in yourself? Look how good the guests of our party did! 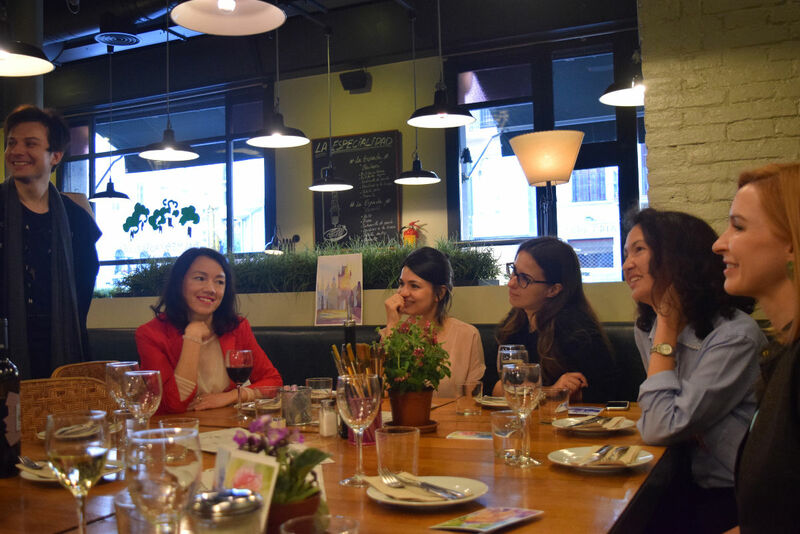 Do you want to rally the collective or organize an event for colleagues and partners? 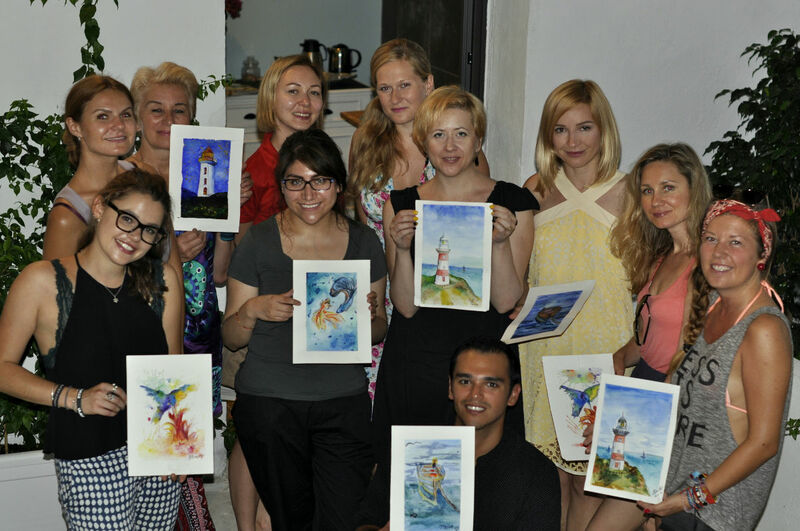 An art-party is an excellent variant for teambuilding or corporate rest. We guarantee you’ll get many bright emotions and unforgettable impressions. And also you’ll get the chance to solve team-shaping tasks according to your company’s development goals. Choose the most convenient method of communication and Express contacts. We will call and discuss the details.